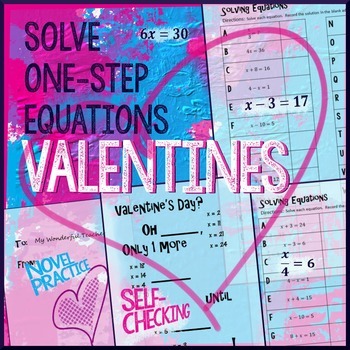 Create a few Valentine’s Day smiles with this solving one-step equations practice. 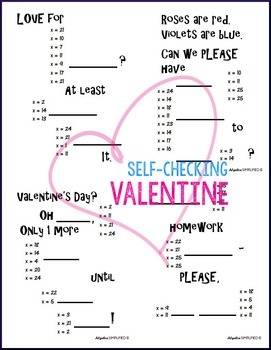 Valentine themed answer messages spice up regular practice and make grading a snap! 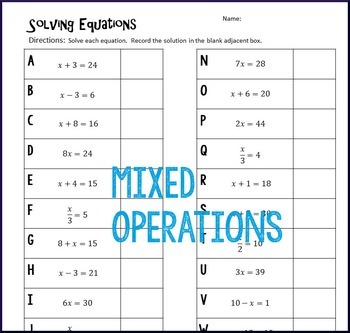 ♩ Note: Problems are identical to other holiday-themed one-step equation practices in my store.